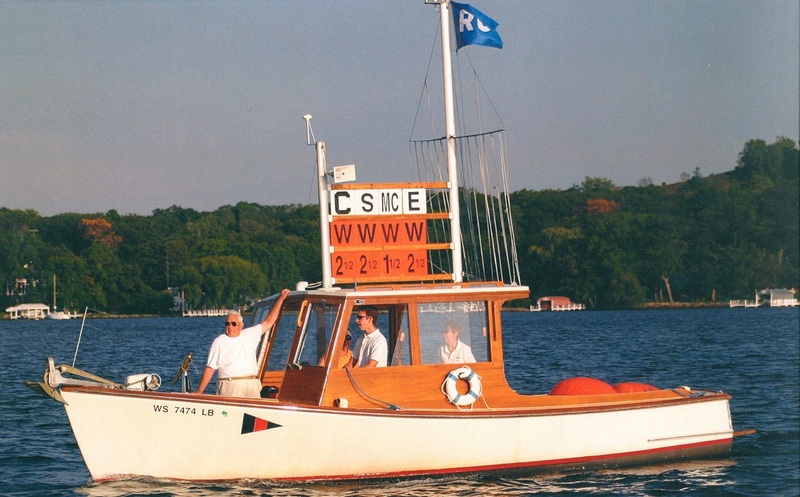 On February 14, 2015, in a unanimous decision, the Lake Geneva Yacht Club Board of Directors named Robert E. Pegel Race Officer Emeritus. The event marks Bob’s retirement from decades of committee work at the Yacht Club and the Geneva Lake Sailing School. “Bob’s contributions in a number of different capacities over the years have been invaluable to our club and to the sport of sailing. We are particularly fortunate for his dedication and expertise in race management, both at our club and at a national level. It is an honor to present him with this title,” said LGYC Commodore F. Terrence Blanchard, who presented the Pegels with a copy of the Board Resolution, which listed many of Bob’s contributions during his 60 years of membership. This is the first time that the Lake Geneva Yacht Club has awarded this title.